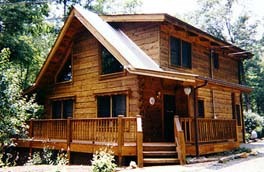 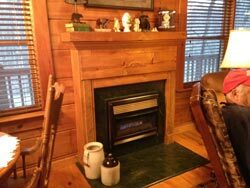 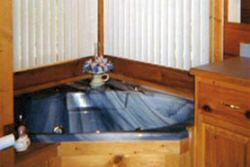 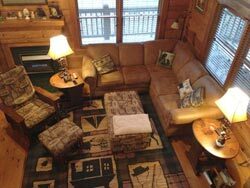 ﻿ North Georgia Cabin Rental of Ellijay Accommodations. 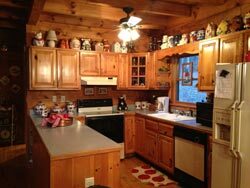 With 3 bedrooms that sleep up to eight you will feel right at home. 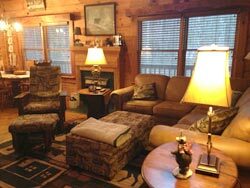 Two full baths isn't the only reason a cabin rental is a better choice than a motel but it sure makes a vacation more enjoyable. 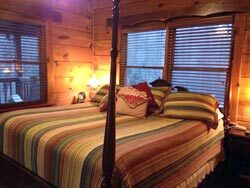 This fine rental cabin features a Jacuzzi right in the master bedroom, live like a king. 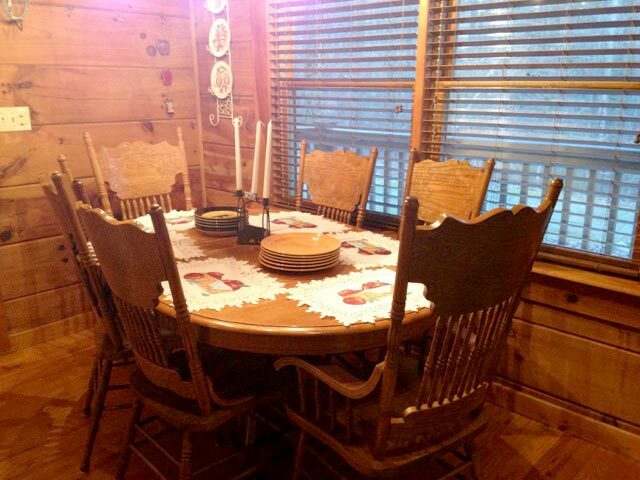 When you experience a full kitchen, fireplace, 3 bedrooms and a Jacuzzi you won't want to stay any place else.